Rules:1 This Challenge is from Jan 1, 2012 to Dec 31, 2012.
your participation on your blog - not just the link to your blog in general. 2) You can grab the button above and post it on your site. 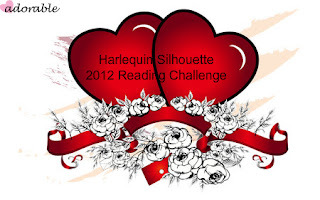 6) Go to eHarlequin for book information, anything you can purchase there counts for the challenge. There will be a raffle and prize at the end of the year using the names of everyone who completed the challenge. Sign up for the challenge using the "tiny" Mr. Linky below. Your url must lead back to the post on your blog announcing your participation in the challenge. Use the Mr. Linky box below to post the links for your completed reviews. Post them using this format: Your Name or Blog (Title of book you completed). The url should go directly to your completed review. Please use Mr. Linky below to post the links for your completed reviews. Post them using this format: Your Name or Blog (Title of book you completed). The url should go directly to your completed review.